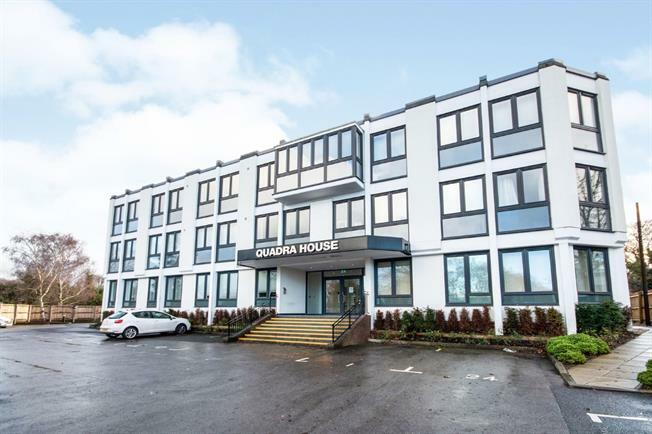 1 Bedroom Flat For Sale in Basingstoke for Asking Price £170,000. This property's price has dropped from £180,000 to Asking Price £170,000. A first floor luxury apartment with allocated parking located in the Cranbourne area. The accommodation features an impressive open-plan living room with laminate flooring and a modern kitchen area which has been recently retiled. The bedroom is one of the largest in the development and has an alcove which is ideal for wardrobe space. The shower room is of a high standard with Porcelnosa tiles, Kelly Hoppen taps and an oversized shower cubicle, the current owners also added a large mirror to finish the room. Other benefits of the development is a large shared courtyard garden, lift and visitor parking.